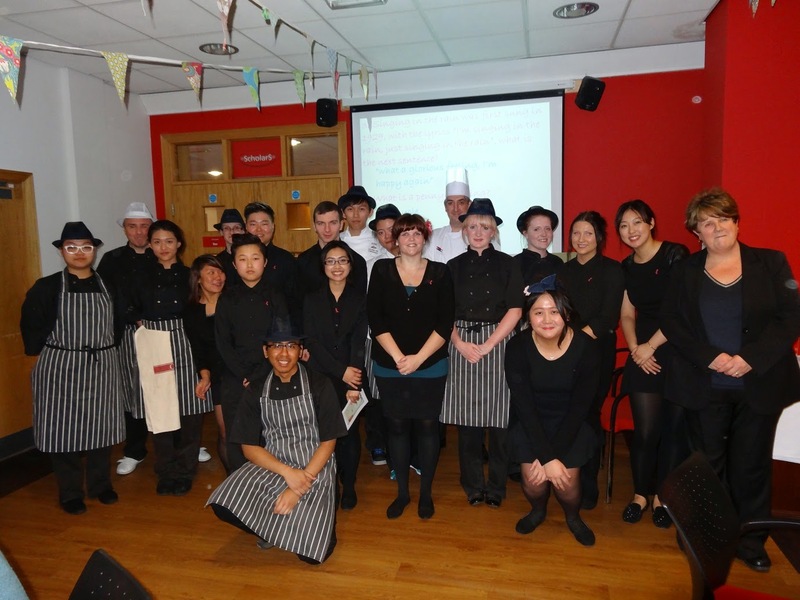 First Year International Hospitality Management students used their learning in a 'real-world' environment, as they cooked and served two dinners for invited guests, family and friends. Over the past year they've learned practical cookery and serving skills alongside academic theory, each week practising a different element of a three-course meal culminating in the two dinners. Head Chef Noel Emms and Module Tutor Jackie Cunningham were on hand to supervise, encourage and motivate the students in the kitchen and front-of-house and they were very pleased with the results. Jackie said: "I'm so proud of them, they worked so hard and it's amazing to see how far they've progressed in a short time." Guests from placement providers and organisations with connections to UCLan were invited as a thank you for their support. These included Marriott, Radisson, Legacy International Hotel, Albert's Shed, Villa Outside, Glasgow's, University of York Conferences and Events, UCLan Students' Union, Secret Garden and Glover's Bakery. All the guests agreed the food was delicious and the service was excellent and have already asked to be invited again next year. Module Leader Rod Train was pleased with each event: "Both dinners were a great success and it was good for us to be able to showcase our students' skills while thanking and networking with our supporters."